We have a mixture of coached and non-coached training sessions which run throughout the year. If you’re new to the club then please come along to the Tuesday evening coached swim session or Thursday evening running session first of all. We work closely with the Wye Valley Runners, Hereford Couriers, the GB Duathlon Manager Dave Newport, the Hereford and District Wheelers and many other local clubs and groups. Please ask our coaches for more details. We also organise regular running, cycling and transition skills sessions throughout the year. All of our coaches are volunteers. Without them generously giving up their time the club would not be able to achieve the success that we do. Thank You Coaches!. Julie Hardman – Julie has decades of experience as a swimming coach for both pool and open water swimmers. She is an ASA level 2 coach, an Open Water Swimming Level 2 coach and a BTF level 1 coach. In 2019 Mike Stephens and Kim Tomkinson are taking their BTF Level 2 coaching award and Louise Le Roy, Delia Duffill, Darren Gibbons, Chris Walmsley and Steve Germaney are taking their BTF Level 1 coaching award. Swimming session coached by the coaching team. This session will concentrate on technique and skills for those who wish to improve their swimming. There’s a small payment of £3 which is collected afterwards. We ask that you can swim 100m of freestyle at any speed before attending. 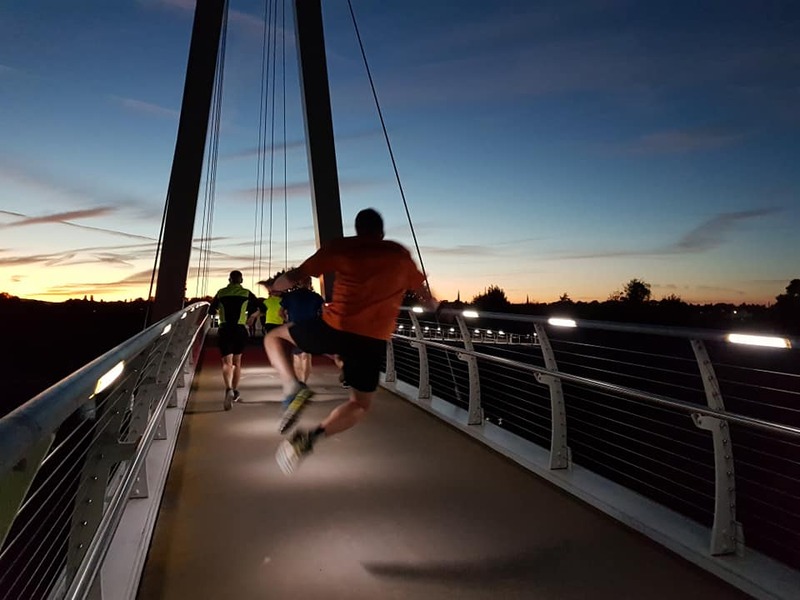 In the summer months club members are welcome to join the weekly 10 and 25 mile time trials which are held in a variety of locations across the county. They are organised by our friends at Hereford and District Wheelers and there is a small charge. A running session for beginners or those who are less confident which leaves Hereford Leisure Pool car park at 7pm. This is a group session led by James Morgan and Kim Tomkinson. The runs take place around the King George V Playing Fields and Castle Green and are organised according to ability so you'll be running with people the same speed as yourself. Summer Open Water Swimming sessions are held at a local lake. For safety reasons , details are only given to members and not discussed online. There is a cost per member per swim which is passed on to the lake management charity. Members will receive more details about the sessions by email. For all abilities, the winter sessions leave outside reception at Hereford Leisure Pool at 6.15 pm We average 6-7 miles with a loop back system so no-one gets left behind. This is a group session which is led but not coached. We have two or three groups of riders which are organised according to distance and ability. In the autumn and winter we stop midway for a coffee and cake, in the spring and summer we have a drink and cake stop at the end of the ride. Please be prompt and arrive for the briefing at 0825. We ask that you can cycle at least 20 miles and that you are a club member (guests are welcome for occasional rides - please contact us in advance) All members are also advised to take out individual insurance. Please make sure that you are wearing brightly coloured clothing, preferably high-vis, and have lights on your bike. We also run numerous additional sessions throughout the year covering track running, cross country running, transitions, nutrition and bike maintenance. We also organise bike leader courses for our members to give us more confidence and awareness when cycling as a group.